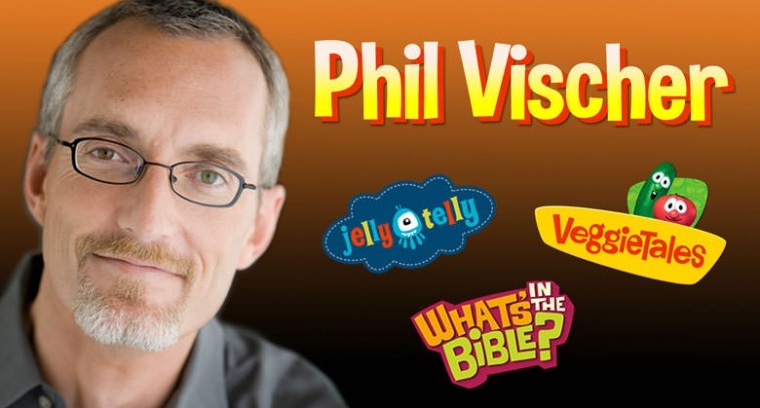 In 1990, computer animator Phil Vischer sat down to create a group of characters that could teach Christian values to kids in a delightfully weird way. Hence, a tomato named Bob and a cucumber named Larry were born. VeggieTales would go on to revolutionize Christian filmmaking, selling more than 50 million videos and creatively placing Biblical content in one of three American households with young children. Phil continues to pursue new ways to integrate faith and storytelling through his new company, Jellyfish Labs. Recent projects include "Buck Denver Asks: What's In the Bible" and the online television network JellyTelly. Phil lives in Illinois with his wife, Lisa, and their three kids.